Home / Social Media / Advertising On Quora: When prospective customers have questions, are you answering? Quora offers unique targeting methods by topic and persona at a competitive price. See how it stacks up to Facebook, Adwords, and other platforms, and our insights on taking advantage of everything that it has to offer below. Quora is a question-and-answer site with over 200 million unique monthly visitors looking for advice and tips. It combines the search abilities of a search engine with the news feed and “follow” capabilities of a social network. If you haven’t experienced it, check it out. Interestingly, the combination of valuable information mixed with humorously strange questions is what has built the large user base for the platform. And with this great base, Quora has become a platform very much worth exploring for advertising. With Quora, ads reach users who have demonstrated interest and intent in your industry which helps you to round out your sales funnel in conjunction with other traditional digital marketing strategies. How Does advertising on Quora Work? Quora allows Topic Targeting, as well as Audience, Interest, and very specific Question Targeting to hone in on relevant audiences. So for example, you can target individuals who have an interest in cars if you are an auto parts dealer. You can target to individuals by geographic region. You can even target your advertising to categories of questions so that you are seen when users view your add when viewing a related question. The latter strategy is great, though so narrow that it is difficult to generate a significant amount of impressions. Fortunately, the bidding structure of bidding per clicks (CPC) makes Quora a high impression-low cost platform, highly effective at building brand awareness. We have seen this as an even cheaper impression-building option to Facebook, which is generally thought of as the cheapest of the social media platforms. Quora’s pages appear in Google searches related to the question asked in addition to their own search engine, so this is a nice alternative opportunity that you can use to compete with your Adwords competitors. What Reporting metrics does Quora track? How does pricing compare to other Platforms? Quora is set up as a CPC bid system, where you pay a nominal amount more than the bidder below you. We have found that Quora’s “suggested bid” feature is rarely accurate, so be ready to experiment with bidding to get a feel for it. For clients that currently advertise on other platforms, we often suggest testing the waters of Quora by diverting as little as $150 from their social budget into a monthly budget for Quora and subsequently adjusting the budget based on performance. Optimization goes beyond respective platforms, and experimenting with Quora is a shrewd move that we recommend for many clients. 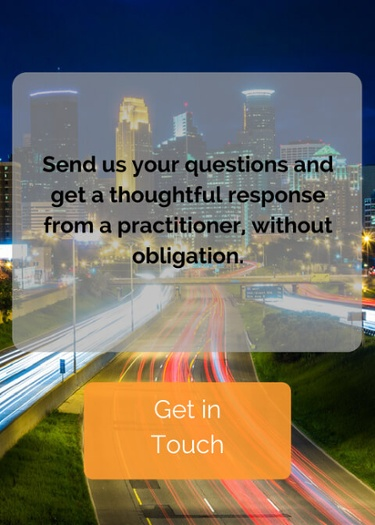 If you have questions about Quora or are curious if your holistic marketing plan is utilizing the most effective strategies, get in touch below for a free answer or consultation.